HomeCanadian PoliticsIf TransCanada were only named Bombardier….. If TransCanada were only named Bombardier….. It was hardly surprising but it was a deeply disappointing announcement, TransCanada is walking away from its plans for a west to east pipeline. “After careful review of changed circumstances, we will be informing the National Energy Board that we will no longer be proceeding with our Energy East and Eastern Mainline applications,” said a company statement issued at 7:30 am ET. What are those changed circumstances? Well if you listen to the Trudeau Liberals it had nothing to do with them. Natural Resources Minister Jim Carr came out before the assembled reporters and said this was purely a business decision and put the blame on lower oil prices. What Carr dismissed was the idea that changes to the approval system that he brought in over a year ago had anything to do with the cancellation of the project. Those rules, introduced in the middle of TransCanada seeking an approval for their pipeline, put tougher requirements on Canadians refining and using Canadian oil that importing oil from other countries. 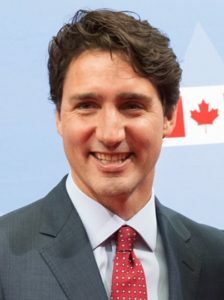 Under rules imposed by Trudeau and company, Canadian oil projects such as pipelines must examine the “upstream and downstream” greenhouse gas emissions of the project. That means the emissions created by the project itself and the potential emissions of the oil or natural gas carried by the pipeline. On August 23, the National Energy Board announced that for the first time those “upstream and downstream” emissions would be considered for a pipeline project as they embarked on a new review of the Energy East plan. Don’t take my word for it, read all about it at CBC.ca. This was a project that was first proposed in 2013, the official paperwork was filed with the National Energy Board in 2014 and then in 2016, Trudeau changed the rules and in 2017 the NEB announced that Energy East would be the first and only pipeline ever to be subject to these new rules. Meanwhile tanker after tanker shows up off Canada’s east coast delivering oil to Saint John, New Brunswick, Levy, Quebec or Montreal. Oil from places like Saudi Arabia and Algeria. While the United States supplies just over half of our oil imports, after that it becomes a hodge podge of countries with less than stellar environmental and human rights records. Saudi Arabia (11%), Algeria (11%), Nigeria (10%), and Norway (6%) according to the NEB. Those countries are followed by Kazakhstan, Azerbaijan, and Angola. Does anyone really think those countries are imposing carbon pricing on their upstream and downstream emissions? Does anyone think they are overly careful on the environmental side at all? But when it comes to Canadian energy and environmental policy it doesn’t matter because those “upstream and downstream” emissions standards only apply to Canadian oil. Advantage Saudi Arabia. Or Angola. Or Algeria. Heck, advantage USA. The Energy East project would have been a multi-billion dollar investment, it would have created thousands of good paying jobs not only in the construction of the pipeline but also in running it once the project was up and running. It would have also made it possible to transport our oil to market in a much more sustainable way. Justin Trudeau knows all of this but he simply doesn’t care. He doesn’t care about what he sees as mostly workers from Western Canada, he doesn’t care about the energy industry. Don’t think this is just about the Quebec thing. I tweeted shortly after the decision that if Bombardier took over TransCanada then the pipeline would be approved and Trudeau would subsidize it. I was joking, kind of. Trudeau, and his longtime friend and right hand man Gerry Butts, simply don’t believe Canada should be in the energy business. Sure, he is fine going into a trade war for a Montreal company that can only sell its products as long as there is jet fuel to get them off the ground, but neither he nor Butts think Canada should sell oil. Remember that just months before he joined Justin Trudeau’s campaign for the Liberal leadership, Butts spoke out strongly against any kind of energy industry in Canada. Trudeau will point to projects such as Line 9 or Kinder Morgan being approved as proof that he is not opposed to pipelines, one of those is a reversal, the other is an expansion of an existing pipeline. Both are being challenged through courts and other means. Chances are good that neither project will see the light of day anytime soon. The bottom line is that thanks to Trudeau jobs in Canada building this pipeline will never be created. Jobs maintaining the pipeline will never be created. Foreign oil will continue to fill our refineries in Eastern Canada and fuel the cars and planes that those opposing the pipeline ride around in. Those folks will feel good that they have done something good for the environment by keeping Canadian oil from getting to market. Smug in their Saudi powered cars. Venezuela has 2nd largest oil reserve reduced to eating pet rabbits. Canada has 3rd largest oil reserve being deliberately destroyed. There are some evil people in this country and the world that think they know the best way to control many, many people’s lives. well, apparently we both have dictatorships. who knew? Trudeau is a lot more than greedy, he is a very evil man and has many evil doers around him! He has to be removed and now! If we just keep talking and doing nothing we are playing right into his hands! Time to take to the streets! He is only one man, we are many! Let us stand against these evil doers! Revolt! Turdeau is simply finishing off what his father started and that is the systematic destruction, financially, decreasing everyone’s standard of living and cozying up to communism. I really feel sorry for children these days, knowing that they will never has the standard of living we do , or used to do before Pierre started our destruction. Very, very disappointed but this result is not surprising. Right from the start the powers that be in Quebec did not want the pipeline crossing their territory. I have been wondering what would be the result of a large refinery being built in Alberta? I seem to remember one in Edmonton more than sixty years ago. This is certainly going to fuel western separation talks again! High time for the west to separated and go it alone. We would be much better off. I have never heard of any alternative energy conversations coming out of Quebec. Instead they spend transfer payments on energy sources from other countries. What scares me is that what will my grandchildren and great-grandchildren work at in the future-the government ignores our resources and makes up rules when they please-and focuses instead all on man-made climate change-hogwash! So what jobs do you envision for future generations? And who will pay for our massive debt?? May God help us all-this government will not-ever.